At Braith Auto, we believe that being honest, fair, and reliable will not only help us build a great Business, but will also allow us to build great personal relationships with our customers. Braith Auto Repair was established in 2002. We started working in a 2-bay shop and due to the rapid growth of business, built a new 5-bay shop. 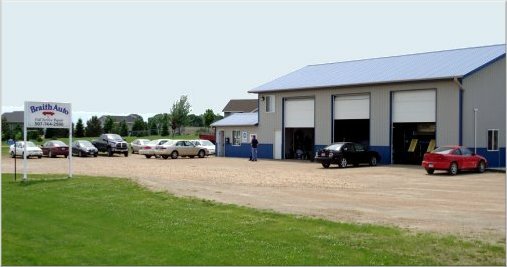 We are located south of Minneapolis-St.Paul, just 5 miles SE of New Prague, Minnesota. We repair everything from Classic cars and trucks to today's vehicles.